Crimson King -- #44 --- is the latest MMPB edition. Shattered Legions -- #43 -- has indeed been released in the MMPB format. Huh that's just weird then. On Amazon I can only see paperbacks listed rather than the mass market paperbacks you can find for master of mankind for example. And someone ordered the paperback for shattered legions and it's the big sized book so it's got me stumped while I try to figure out what I need to catch up and go avoid messing my collection up. You can check which it is on Amazon by scrolling down to where it tells you the physical dimensions of the book. If it's the 'Legacy' size it will be 10.7 cm wide x 3(ish) cm thick x 17 cm tall. That's what I always double-check on the Book Depository site before preordering, need to be sure. It's the perils of birthday presents from your family! My wife suggested them and they didn't know any difference and ordered whatever they came across. I was just checking as up to master of mankind I can see they all say mass market paperback where as after they don't appear to and before hand they usually had the different formats, both the hardback, bigger paperbacks and mass market. It's just trying to keep up to date with releases as I had fallen behind again. Read Preatorian of Dorn in the summer which was excellent but the shock of the end meant its been 6 months until I grabbed the next. Eeeer is this a sequel to the cult of spiral dawn book? Since it's written by the main author and going by the description that might be the case. As much as I like the author's work set in 40k (Imperial Knights and Alpha Legion, which also featured Celestine), I'll wait until.. August or so for the regular hardback to drop, as I am curious how her "respawn system" works. all but finished Inferno #2. Again very happy with the selection, all good stories and a couple of really good ones -- YMMV of course. Picked up the Silver Shard in ppbk format.. Sadly still waiting on my Inferno! #2 as it was ordered alongside the reprints. 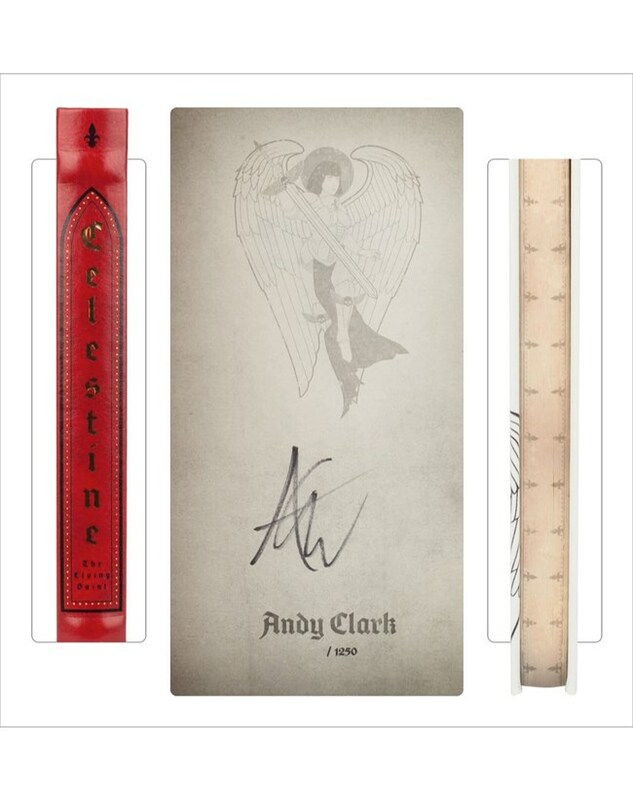 May have to go the expensive route and split orders in the future..
Any reviews of Mr. Clark's other work (from folks here)? His two Imperial Knight books are awesome, those are the only two I've read. I went for the Celestine LE as it looks very pretty and I'm prepared to take the risk with Andy writing it as I'm desperate for more stories focused on the SoB. He also did a novel on the Alpha Legion called Shroud of Night, which is a nice take on the Legion post Heresy and done properly IMHO. A large chunk of the novel also focuses on Saint Celestine showing up at that place, an Imperial Fist captain learning to deal with Primaris reinforcements (as well as the Alpha Legion coming across them for the first time and being shocked at how hard they are to kill! ) and Khârn the Betrayer of all people out to collect the skull of Celestine. Despite all the big names being dropped it is a satisfying read and does not disappoint. It builds on the stuff Dan set up with Legion but also adds to their awesomeness with some stuff of his own. I ordered Shroud of Night this morning, good to see a good review of it. Has anyone got the version of Visions of Heresy from this Christmas just gone? Amazon have it at £32.50 as opposed to the £50 RRP. 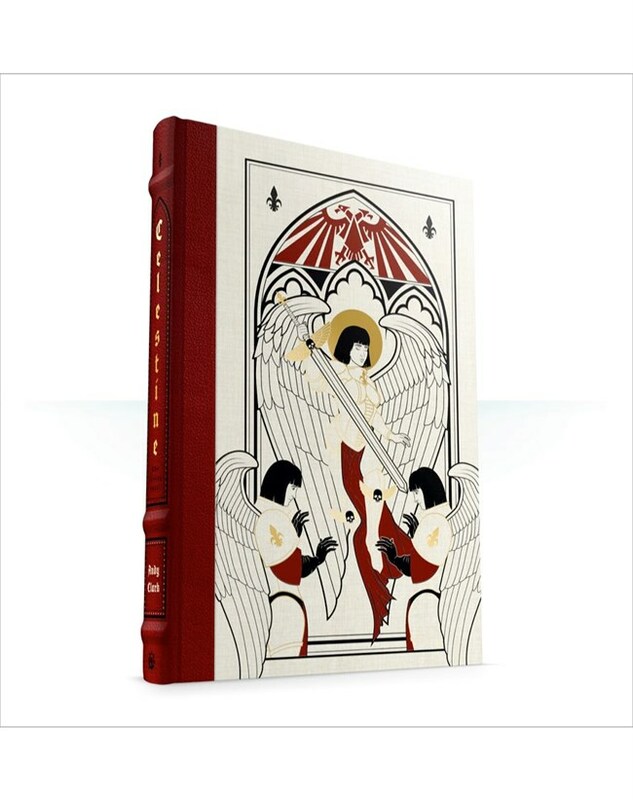 So have they sold out of the Celestine ltd ed already? It's disappeared off black library and GW. I'm glad I got mine if it has sold out, that was damn fast. Has anyone got their Inferno 6,7,8,9,10 reprints yet? I made an order for them fairly early on but haven't heard anything since. I'd not even noticed but the order window is now closed on them too - surprising as last time I got them in the last few days and they arrived pretty fast. Unless GW just left the order window open and ships them in one big bulk load on the last day? I think the window for them was about 3 weeks this time. I only ordered mine a few days before the end, so I've not heard anything yet. Looks like it. Sometimes they still have them available on the GW site. Got mine very nice little book. My first book from this guy hearing good things so it hopefully will be tasty. Still waiting on mine, though they did mention that it could take up to 56 days until shipping. I ordered mine on the day they popped up, so 24 days down.. These are printed on demand, so chances are they're still being done up right now. Agreed that his BattleTech - opps I mean Knights books are awesome - really enjoyed. Shroud of Night was good - Mr Clark does do good character work which is always a plus for me. Yeah the first batch were quicker I think at 26 days. I figure what GW has done this time is make 1 single print order on demand. So that means they've likely waited out the 3 weeks; given final order numbers and will get that shipped over. It's likely cheaper for them and more efficient than faster service, but more shipping costs and the potential of having the last orders be really small and not worth it. A shame as I'd figure getting a few reviews out early from gamers who got them would help drive some sales of the books. My Celestine turned up today, earlier than I was expecting. Its very pretty but quite short, more of a novella. I'm planning on reading it tonight. I'm not expecting my next set of Inferno reprints till middle of February. Also posting this here, but damn it! That is indeed one fantastic model! I can see her being a very popular pick up over the event! 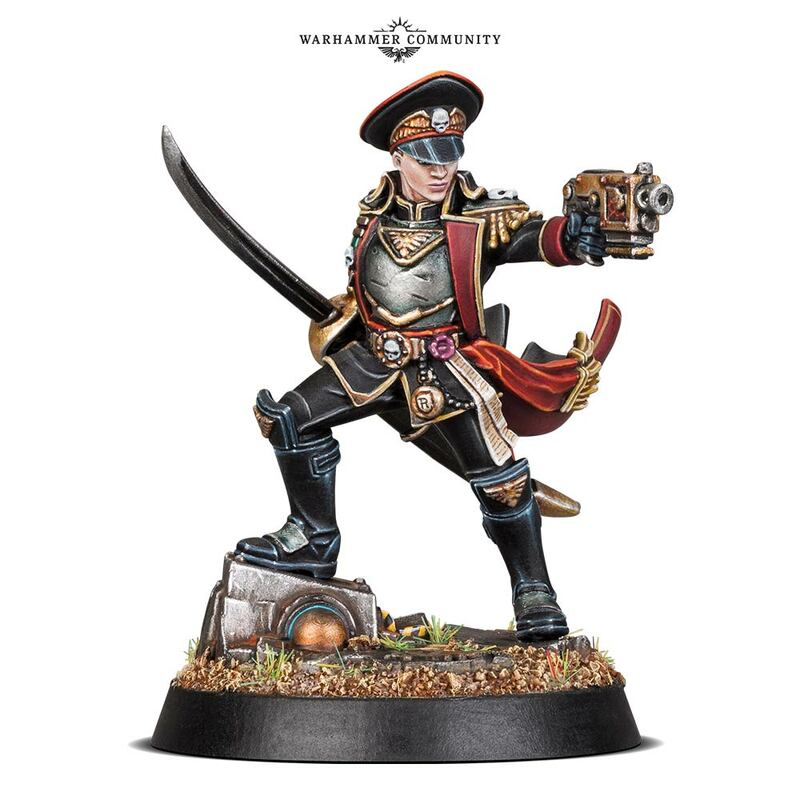 Holy feth, I want that Commissar! Pity she is resin not plastic, but that is one awesome model. Where is Mad Doc Grotsnik when you need him? I didn't see anything mentioned about the material. Where did it say resin? Being resin really killed my enthusiasm for the model. This fantastic model is your chance to add this devout Imperial hero to your collection. Her Black Library-themed box includes rules for using the resin miniature in your Astra Militarum army – and February’s White Dwarf will include the rules for using her as your Commander in games of Kill Team as well! The Raine miniature is based on the cover art for a new novel also coming for the Celebration, Rachel Harrison’s debut novel Honourbound. Ah i missed that. Well it doesn't matter, i got both Veridyan and Eisenhorn and both were flawless. I expect the same for this one. Yeah, these aren't finecast if I remember correctly, but some other resin? Hmm, may need to check my Eisenhorn when I get chance, he is still unbuilt in box at home. GW has pretty much abandoned finecast - even if they worked it to perfectly the negative connections in marketing for it are just far too great. Resin will mean Forgeworlds regular resin material.